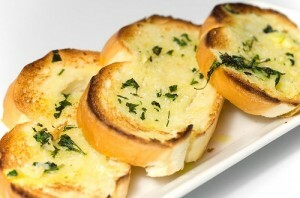 Spread the butter on both sides of the bread and season with the parsley and garlic powder. Place on the grill pan and cook on one side until golden brown. Flip, and continue cooking until other side is golden brown.